How do we know when a dog is the right fit for a family with children? Is breed a good indicator of whether or not a dog will be good with kids? What do parents need to know to set everyone up for safe, fun interactions? If you’ve been wondering about these kind of questions, we have the expert advice you’ve been looking for! Jennifer Shryock is a Certified Dog Behavior Consultant and founder of Family Paws Parent Education. She’s the creator of many invaluable programs: such as Dogs & Storks and Dog and Baby Connection, as well as being the U.S. Vice President of Doggone Safe, a non-profit dedicated to dog bite prevention and victim support, and owner of Family Paws LLC. She also has a degree in special education and is a mother of four. How can shelter and rescue workers make better matches between dogs and families with kids? Jennifer Shryock: Observation of a family is important. What is the parent-child dynamic? Are the children respectful and listening or bouncing off the walls and not paying attention to their parents? Depending on the age of the child I always like to engage the child in discussion of what they want and expect in a family pet. This helps us to know what the expectations of the pet may be and what education may be needed to make them realistic. What can adoption counselors look for to try to determine if the kids and the dogs are the right fit for each other? JS: What I look for is a match in energy and a true desire to be around one another. One of my favorite tests is the “pet & pause.” This is something my cats taught me, but I now use it and teach it to all children. I always have the child call the dog over to them. What choice does the dog make? If the dog readily approaches and the child pets several times and then pauses – what does the dog choose to do? If the dog moves in for more that’s great. If the dog flops to the ground, that’s great. But if the dog turns away, shakes off, and moves away, then it’s not so good. The dog is choosing to make distance. What I mean by that is that dogs often do not like unfamiliar children approaching them. Invite the dog over instead. A dog that approaches happily with loose body language and chooses to stay for more is a great sign. Then if the child moves to a new location and the dog follows – that is awesome. Now, what if the child (if it’s safe) sits on the ground with their parent? What does the dog do now? Observation is everything. Also helpful to know: How does the child/children respond to their parent’s direction? Shelters frequently use blanket restrictions on “pit bull” dogs such as “kids 10+ only”. Do you think that these restrictions are helpful or inadvertently misleading? JS: I find these restrictions to be misleading and unfortunate. I believe strongly in assessing each individual dog and family for their unique needs. All children behave differently and I have seen many young children gain so much from the relationships with their family dogs. Allowing young children to be involved in the experience of caring for a dog and learning how to safely engage and interact with their own family dog will help them with safe interactions with all dogs. I believe it is parent education that is needed instead of age restrictions. What tools can shelters send home with new adopters to help them set their kids and dogs up for safe, positive interactions? And our website and Facebook pages, like the Dog and Baby Connection are helpful resources as well. What should parents look for when choosing a dog, especially if they have young kids? JS: A dog that is open and loose. Rolls with life. Can handle different sounds, people, environments etc. I suggest most families with young children look at a dog that is 3-5 years of age. They are usually “what you see, is what you get.” Puppies are open books and there are many chapters that are not filled in, so to speak. How important a factor is breed when considering a family dog? JS: Breed is not the most important factor. The most important factor to me is matching the lifestyle, desired qualities, and temperament of the dog and family. Often the perfect dog is not the “breed” a family will think they want. It is our job to help them to assess the character traits that they truly need for all to be successful. If you could pass along one piece of advice to families with kids and dogs, what would it be? JS: Be open and excited to learning about dogs and how they communicate! Learning just a little bit about dog body language and communication can make a HUGE difference in the comfort and enjoyment of your family dog! For more great tips and information about living with kids and dogs from Jennifer, check out her FREE webinar: The Inclusion of Family Dogs for Success: Building Dog-Child Bonds. 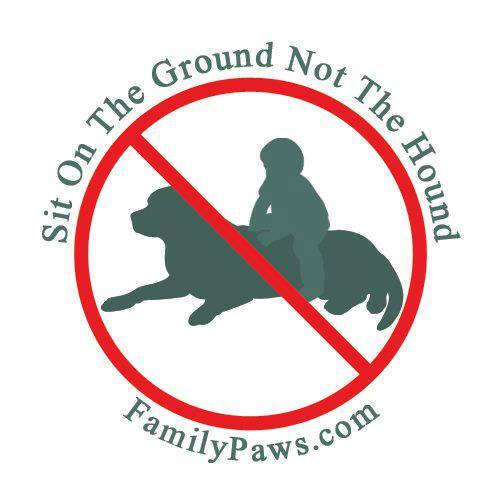 Bookmark her website Family Paws too! For more ideas on making great matches, increasing adoptions, and talking with potential adopters, please see our website.